Tennis players, stay ready for the NY at TE! Not the New Year, but New Yonex! 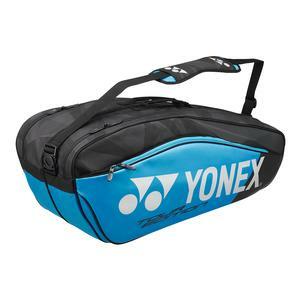 If you like to celebrate on the court make sure you can get there sooner than later with NEW Yonex Tennis Shoes and newly designed racquet bags. Do you want to lighten the load on your feet during practice but refuse to skimp on durability? The geometric design of the PC Sonicage is so structured that there’s no doubt it’s a tennis shoe and it has mesh so you’ll get breathability during court drills and training. The upper is dynamic and has its durable parts where stability is needed (at the arch) and softer features inside so you’re not beating your feet up! Below, the last layer of the outsole reveals the thick Power Cushion+ that captures those hard hitting vibrations so nothing knocks you off your feet! Next is the fashioned FushionRev 2. I just love the trendy construction that EVERYONE has been talking about for the past two years. Not only are you conserving more when you’re seamless but you get a one-of-a-kind fit. Because the shoe has a modern, and not boxy, design slipping your foot into this low- profile shoe will feel like slipping on a sock. The Flexion Upper materials chosen function effectively to fit near the arch, so feet feel alive and supreme. Say you’ve got to jump to complete that overhead, well the curved Spiral Wrap at the laces and Durable Skin Light literally wrap your foot with ease so it can stay completely locked-in. Last but not least for footwear is the match ready PC Eclipsion 2, which is the shoe of Stan the Man, now retired Martina Hingis, and Anastasija Sevastova. Player’s that are willing to take every step til the win will gain durability from this shoe. The new Agility Bolt featured at the midsole, near the heel and arch, looks like a lightning bolt and creates stabilizing technology. This energizes your court confidence and support; it’s never fun when you’re beating yourself on court! 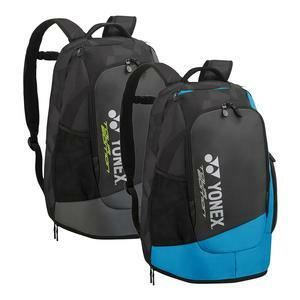 With Yonex what you see is what you get! Power Cushion+ plays the most important position and absorbs the impact as you tirelessly take thousands of steps on the court. The goal is to be at a tournament til you’re the last man standing and that means you’ve got to pack days worth of grips, grip enhancer, sun screen, clothes and more. 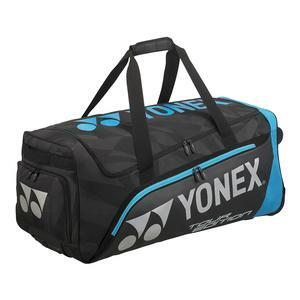 To keep up, the Yonex Pro Series tennis bags are your standard and tournament accepted tennis bags equipped with climate protection technology, shoe storage, and heavy duty materials. These blue beauties are all in one and come in a variety of 10 different bags. The unique blue accompanies Nick Kyrgios‘ Ezone Blue racquet. 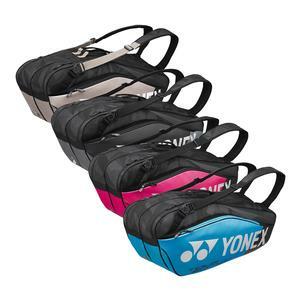 Player’s with an Ezone Lite can grab the nine and six packs in a pink version. These bags are your luxury line bags and are destined to be a player’s choice for every tournament trip. The series involves bags that have wheels, stand up bags, backpacks, travel duffles and you can see just how great the all blue crew looks in unison for the Yonex Badminton team! 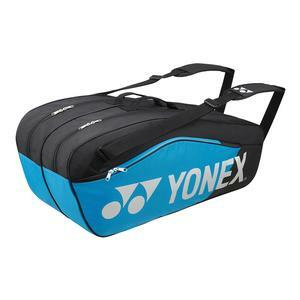 Sometimes it’s hard to slow your roll after you just got off the court but the NEW Yonex’s Active Tennis Bags are you functional tennis bags that you can access and manage easily thanks to a couple of thoughtful features. If you’re grabbing on the go, and if your hands are full, you can grab this bag EASILY at the wider handles on top.Once the bag is released you’ll see that this bag is lighter, thinner, and is not as bulky. The straight line zipper is close to the top if you need to grab your phone or watch quickly to see the time! 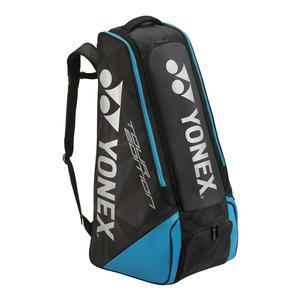 For the perfect match, pair this bag up with the women’s Power Cushion Eclipsion 2 in Gray and Pale Green. 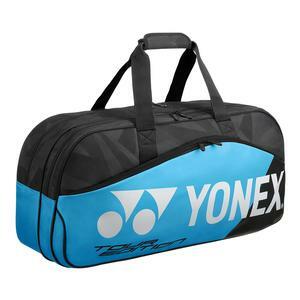 For Yonex fans that use Coco Vandeweghe’s Ezone or Angelique Kerber’s VCore SV tennis racquet, then the Team Series bags is your striking and colorful line. This racquet bag will bring beauty and art to your skilled craft! This high contrast bag is hard hitting yet smooth with a detailed gold/gray finish. Maybe once released it’ll even inspire a dynamic technique to your game. 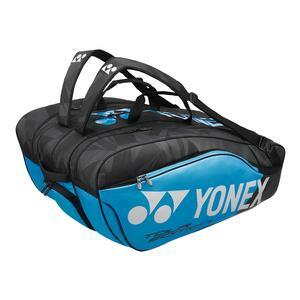 You’ll be able to carry up to six racquets in this court bag. 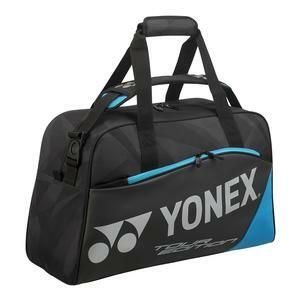 Make your new years reservation with these new Yonex tennis shoes and bags and conquer all of your 2018 goals, starting now at Tennis Express! ← Keys and Kyrgios as Tennis’ Most Wanted!